Dusty Crophopper (Dane Cook), a crop duster who believes he's destined for something better, competes to win a spot in Wings Across the World. Due to a technicality, he is suddenly allowed to compete. Dusty is shunned by most of his other competitors because, as a crop duster, he doesn't belong in the world of air racing. With the training of an old war plane named Skipper, Dusty has to prove that he as an underdog has a shot at winning the race. Let's see: Dane Cook? Instant mood killer, terrible actor, despised. Cars spin-off? Sure, let's take one of the worst Pixar movies and make a spin-off of it to cash in on the only strand of soul we may have had left! Planned trilogy from this movie?? WHY DO WE CONTINUE TO DO THIS TO OUR YOUNGER GENERATION OF CHILDREN AND SUBSEQUENTLY THEIR PARENTS????? This movie is your typical everyday underdog story that is completely predictable from the second the film begins. There is no originality, no surprises, no fun. It's boring. Kids might be able to be plopped in front of this movie for 91 minutes, but the adults that are forced to take them to the movies will be miserable the entire time. Growing up with 2D Disney films from their prime, we as kids from that era of greatness have come to expect more from Disney than just a film trying to turn a quick buck, which is precisely what this movie is. If Pixar thought this movie was not good enough for its standards, then why did Disney, who owns Pixar, think it was a good idea to move forward with this project? One movie that's a blatant ripoff of Cars and Dreamworks' Turbo is bad enough, but to make this into a trilogy??? HOW???? It's borderline shameful what Disney has become. They need to get back to the principles and ideas that made Disney great in the first place. They also need to bring back their former style of animation and flare, so the kids who grew up idealizing Disney can now, as parents, can share the magic of their youth with their children. 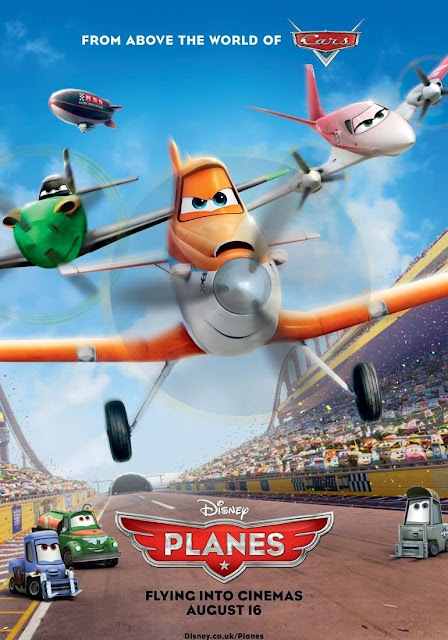 "Planes" is not magical, it's not sentimental (though it tries to be), it's just lackluster.